Home » Home Inspection » Regular Roof Inspections – Why are They So Important? Regular Roof Inspections – Why are They So Important? 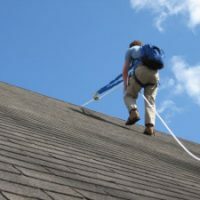 Posted by Svetlana on Oct 23, 2016 in Home Inspection, Repair & Maintenance | Comments Off on Regular Roof Inspections – Why are They So Important? Roof is usually out of our sight and, apparently, out of our minds, too. However, it’s probably the most important part of our house which protects everything inside from the elements. If we do our regular air conditioner tune-ups, furnace cleanings, garden and lawn care, why does a roof inspection usually fall by the wayside? I’ve asked experts from probably the best Roof Inspection Service Colorado has to offer to remind me (and my readers) of the importance of regular roof inspections. Regular roof inspections are crucial for spotting signs of damage early and preventing/stopping them in their tracks. Professionals check our roof to make sure that it’s free of potentially hazardous structural deformation, debris, broken gutter and similar areas. In addition, roof inspections detect signs of rot, rust, leakage to the exterior components, such as chimneys, dip edges, fascia, skylights and vents, as well as to interior structural components (rafters, trusses etc.). Although regular roof inspections come with a price tag on them, they actually save homeowners a lot of money by preventing expensive outright roof replacement or repairs. If left unchecked, even a minor roof issue such as a crack or leak could cause extensive damage. Patching a small problem early on is always a better approach compared to waiting until small issues wreak havoc on the whole roof. Simply put, if you invest in regular roof inspections, you’ll be preventing large-scale problems; this means the longevity of your roof will be greatly prolonged. 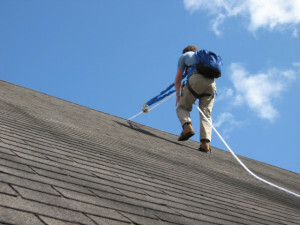 So, if you don’t have money and time to waste, opt for regular roof inspections. But, what does “regular” mean? Usually, roof inspections conducted twice a year are sufficient: in spring and in autumn. However, after severe wind storms/rain in the summer/winter, you should call your roofer to check if everything is alright. Although homeowners themselves can perform roof inspections, I highly recommend hiring someone who’s specialized in finishing this important task.